This iconic 1936 design was inspired by the British tea culture Aino and Alvar Aalto encountered in their travels, as well as the Japanese woodwork and architecture they admired. 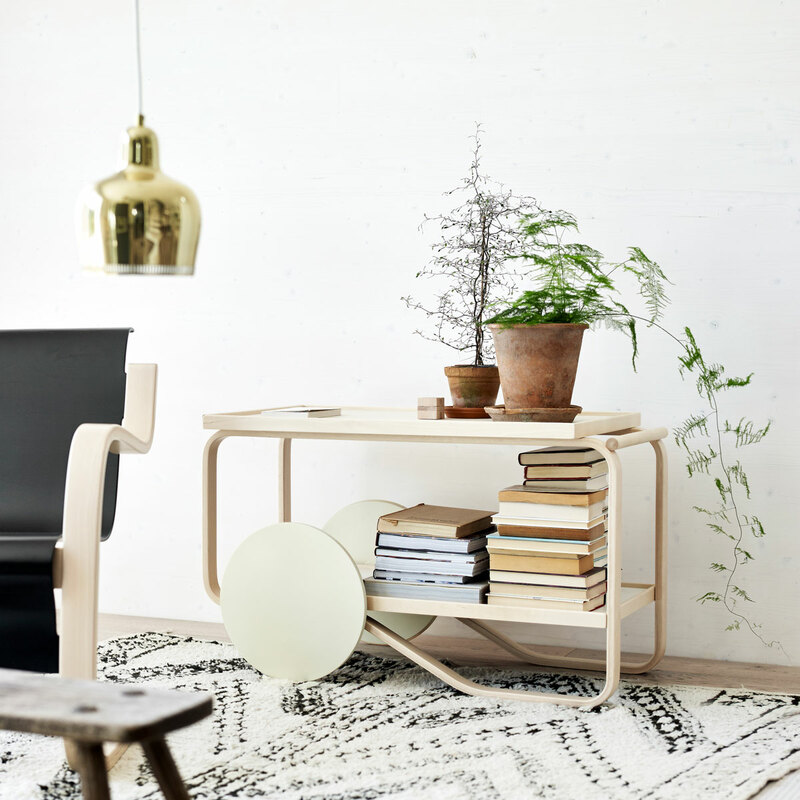 The original has been reinterpreted by Hella Jongerius for a more monochromatic, clean look. 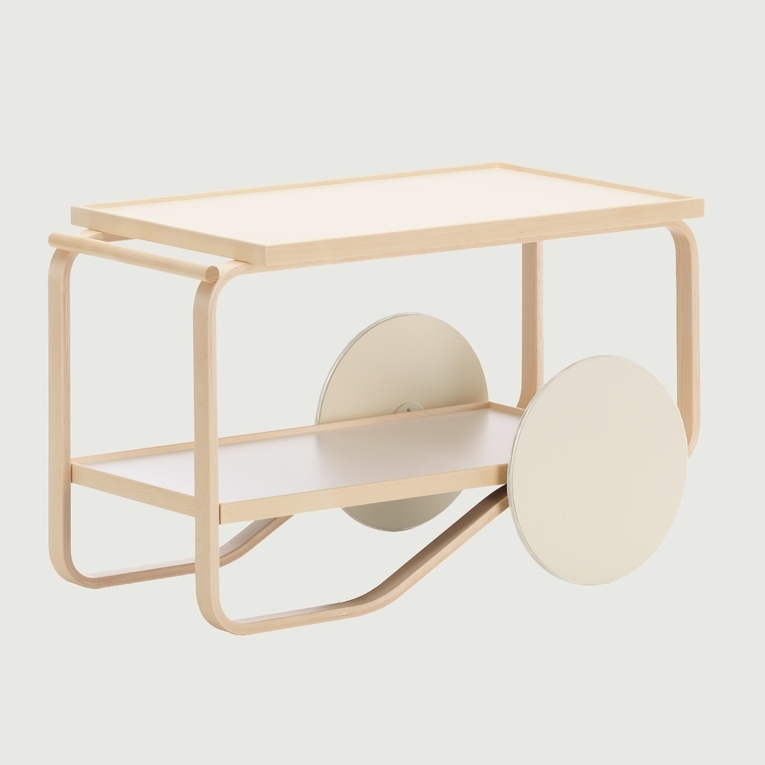 The clear-lacquered birch wood frame is complement by cream-colored MDF wheels and linoleum shelves. 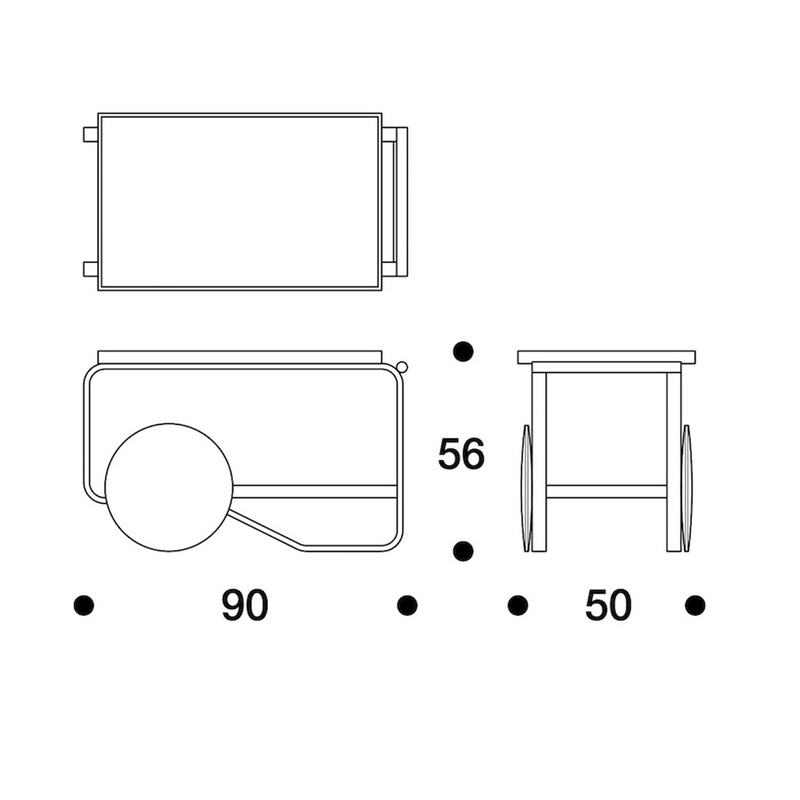 Made in Finland by Artek, the tea trolley ships fully assembled.Please review our Shipping Information page before ordering. Lead Time: Contact us for lead time.